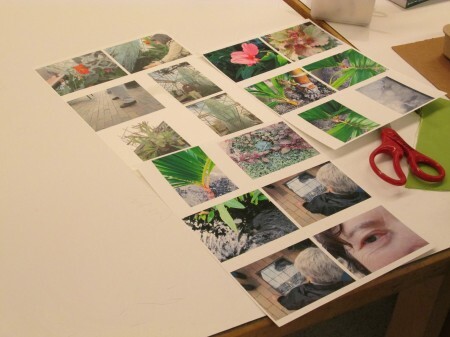 The following conversation fragments, observations, and exclamations were plucked from a workshop led by Walker Art Lab Coordinator Ilene Krug Mojsilov. 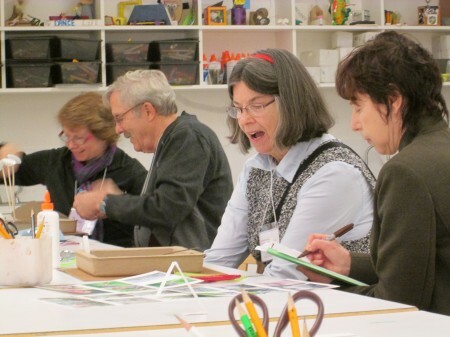 I was struck by the poetic turns that emerged from participants’ reactions to their and each other’s work. 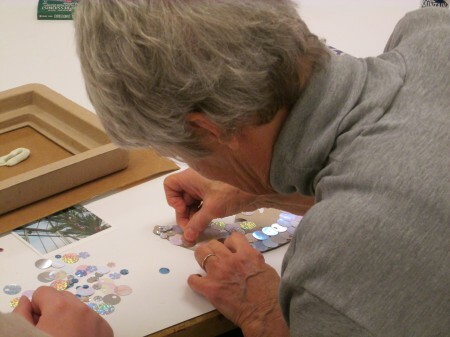 The workshop explored how artists manipulate scale—looking primarily at Frank Gehry’s Standing Glass Fish for inspiration—to encourage a new way of looking at the everyday and one’s physical relationship to the space one inhabits. 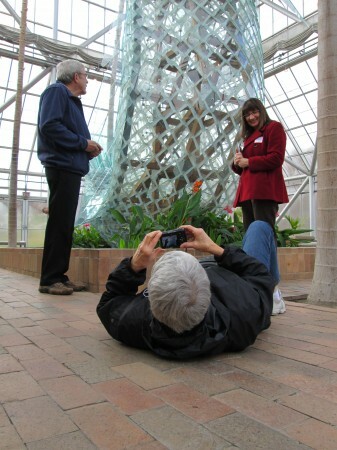 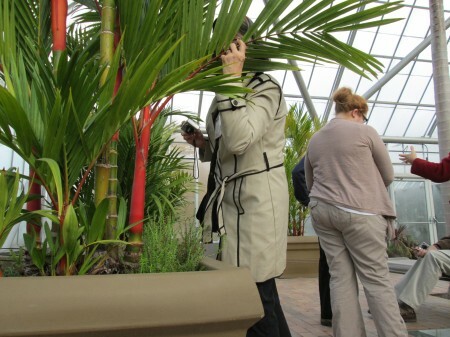 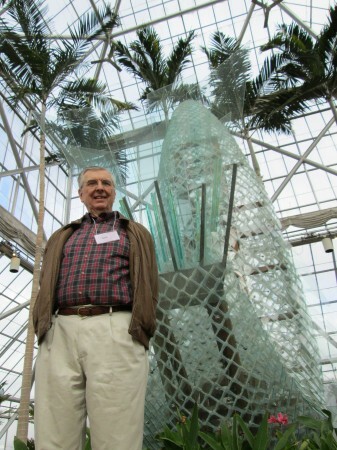 The images taken inside the Cowles Conservatory were taken by participants as study shots. 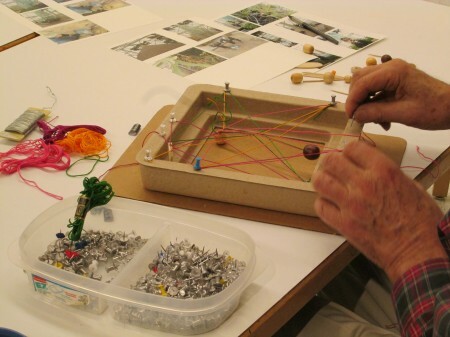 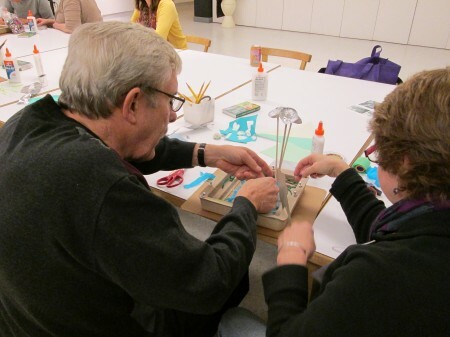 This art lab was part of a program called Living Well, a holistic program for people living with memory loss coordinated by the Amherst H. Wilder Foundation.